Stitch & Hide Birthday Celebrations! 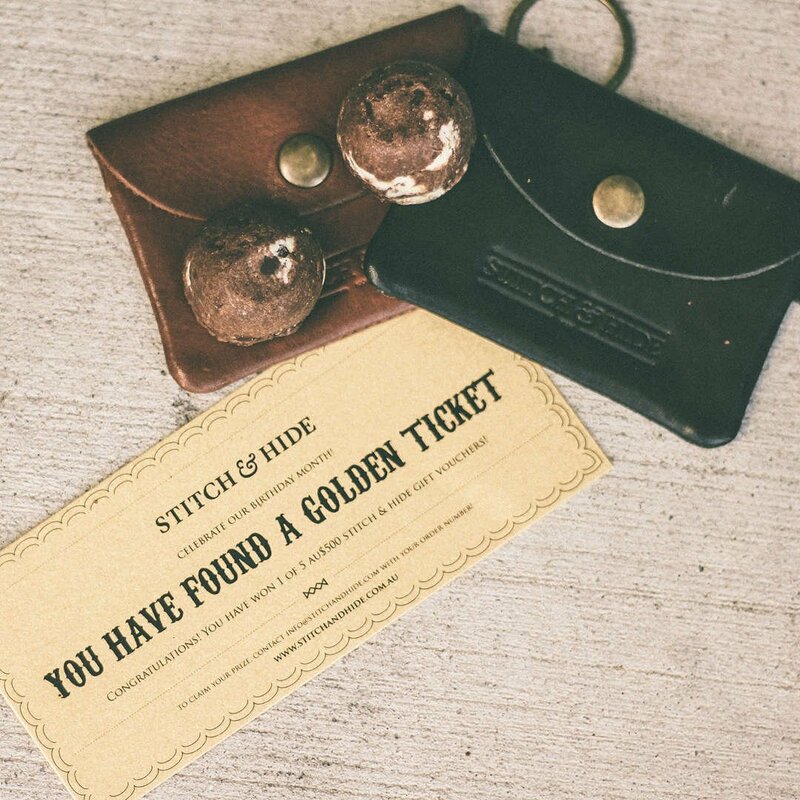 It‘s Stitch & Hide’s 5th birthday this September and to celebrate we are treating you, our loyal customer, to a month full of giveaways, freebies and special offers! 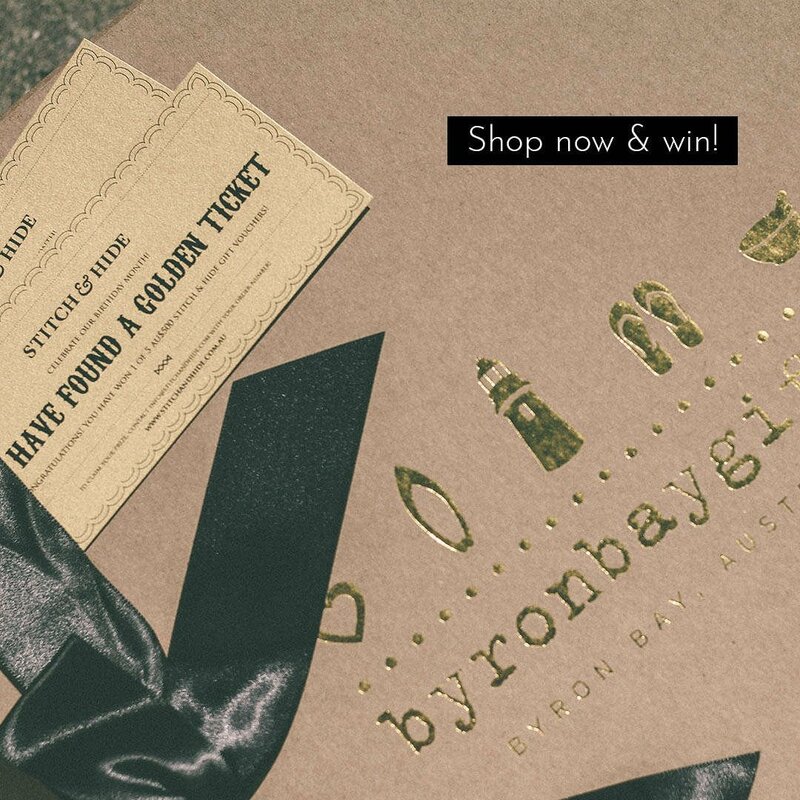 Every order placed on our website throughout September will receive a Free Gift from us, as well as be in with a chance to find 1 of 5 Golden Ticket’s hidden inside your purchased product! drinks, nibbles and an incredible sample sale with up to 70% off RRP! Scroll down for more details on all our birthday shenanigans and prizes. Stitch & Hide products throughout the month of September. 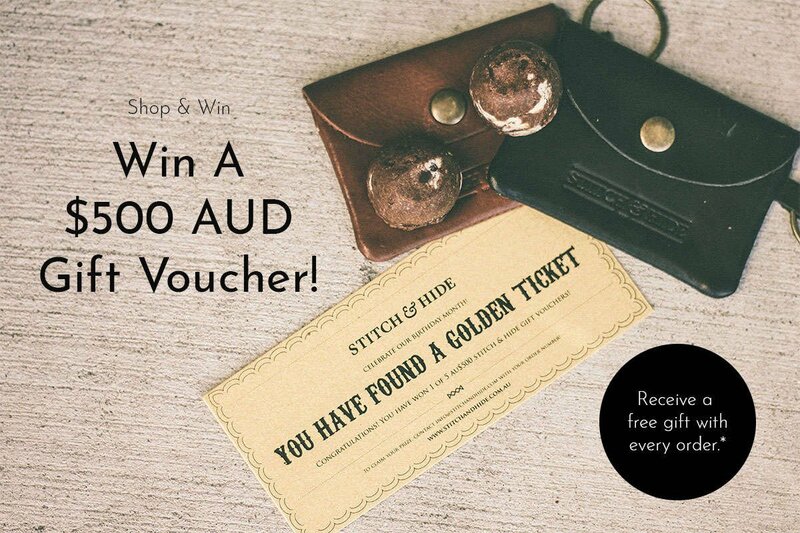 By entering this competition, you agree to the Terms and Conditions and agree to be signed up to the Stitch & Hide newsletter when you place an order. It’s our 5th birthday month here at Stitch & Hide and we are treating you to some birthday goodies! 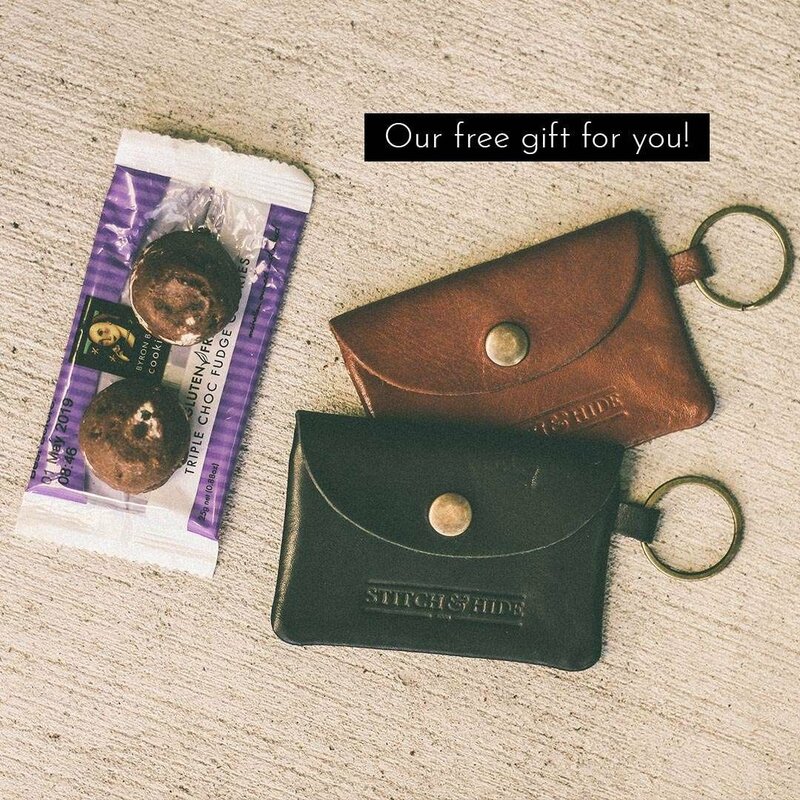 Stitch & Hide leather coin pouch keyring valued at $29.95 plus receive 1 x Byron Bay Cookie Company twin pack 25g and an exclusive offer to use on your next purchase with us. *Free coin pouch and cookies with every purchase on stitchandhide.com. No colour choice available on the coin pouch keyring. While stock lasts. 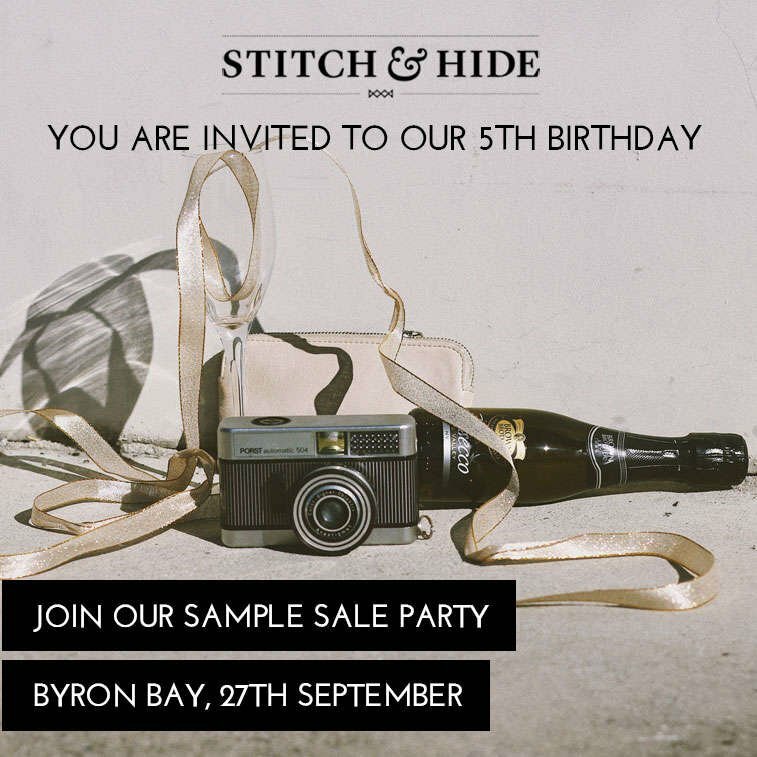 Continuing the birthday festivities, we are hosting a Stitch & Hide 5th birthday party and sample sale at our Byron Bay HQ on Thursday 27th September 2018 and you’re invited! We are selling some of our favourite vegetable tanned leather bags, wallets, clutches, belts and accessories samples at an incredible sample sale price of up to 70% off RRP. 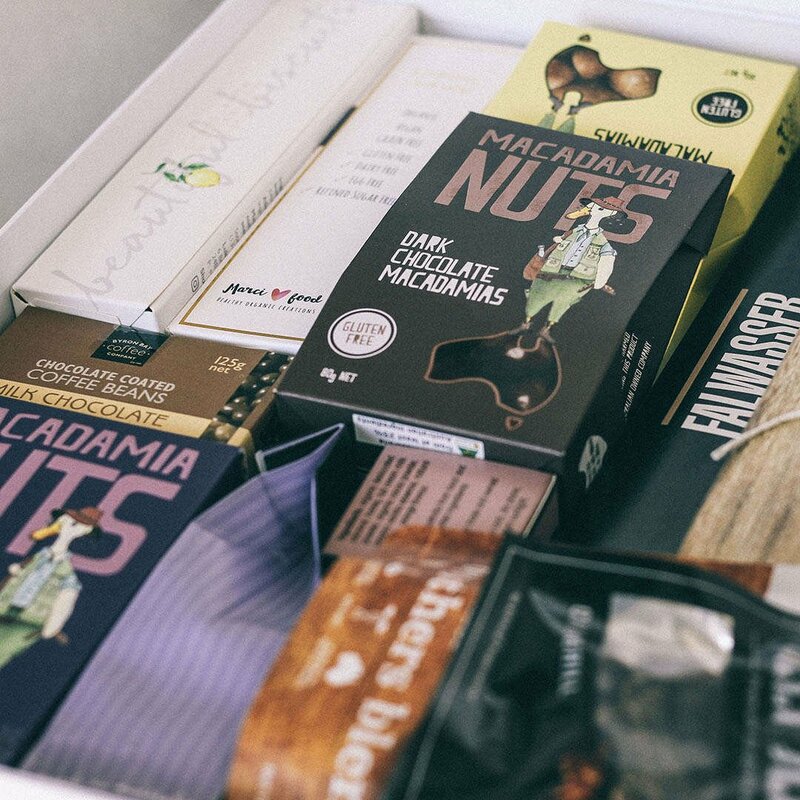 Plus, we will treat you to a free Stone & Wood beer, Brookie’s Gin Cocktail plus treats from Chow Cacao, Byron Bay Chilli Company and Byron Bay Cookie Company. *Cash only accepted for hotdogs and sample sale products. 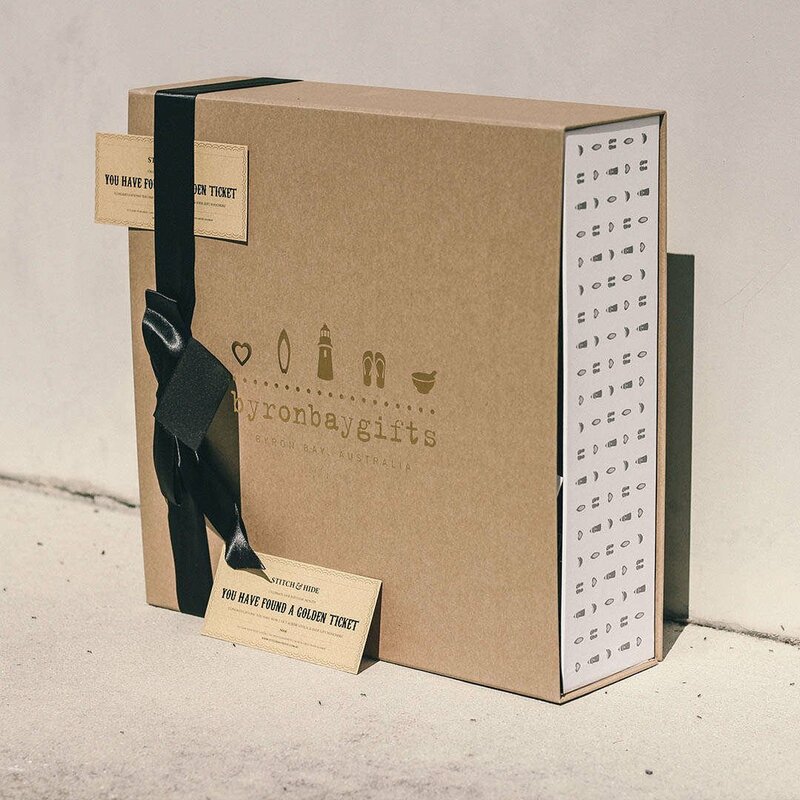 No returns or exchanges on sample items accepted. I automatically approve theTerms & Conditions.